St. Francis Villa’s resident services are designed to give seniors independence and dignity. 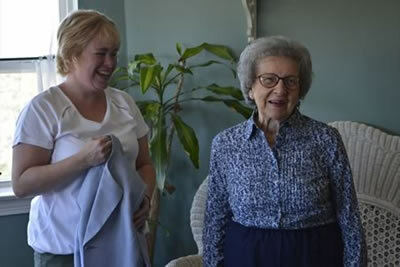 St. Francis Villa’s resident services are designed to give seniors independence and dignity. 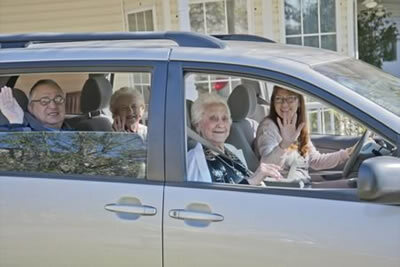 Seniors alone at home will often remain immobile for fear of falling or being unable to reach the telephone. Our 24 hour call system is available to every resident and gives them the freedom to be as active as they can be, knowing help is nearby. Whether they need help opening a stubborn jar lid, or are feeling ill and need the nurse, residents know they can call on our care staff to assist. Residents need not greet the day alone, but can have a member of our care staff assist them with showering, dressing, and getting ready for the day. Often personal care becomes a tedious process for seniors, but with a little help, a personal care regimen can be completed more easily, enabling a person to move on to a more pleasant, engaging activity. Bedtime is simplified when residents have a member of our care staff to help them transition from an active day to a peaceful sleep. While the privacy of our apartments gives our residents the independence they desire, the round-the-clock availability of our care managers gives families peace of mind. Often, just having a knowledgeable nurse to discuss a new medicine, or a bothersome symptom helps residents feel more confident. Families enjoy knowing our nurses and care managers can help reinforce good health practices, like assisting with medication, staying hydrated, and getting some exercise.